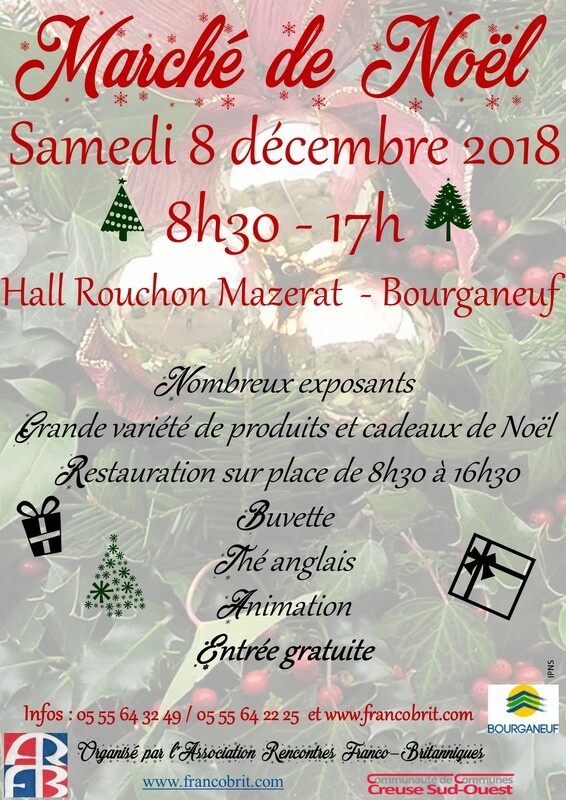 For those in Departement 23 of France, the beautiful Creuse, you can find an event on Saturday 8th December in Bourganeuf. The Christmas fayre is now established in it’s thirid year and is sure to get you into a Christmas mood, with a variety of stalls of hand made and commercial goods, an English food stall, an all day cafe and entertainment. You will also find my jewellery their so come along and say ‘hello’.